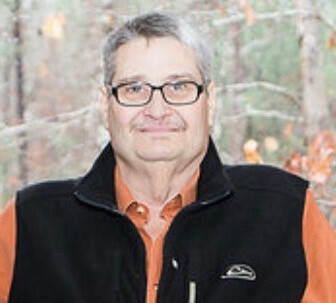 John passed away peacefully in his home on November 2, 2018 in Helena, AL at the age of 63. He was born on September 12, 1955 in Kennett, MO to Bob and Mickey Mosley. He graduated from NBFA-Caldwell, AR in 1973 and went on to attend Southern Nazarene University. John worked as a diesel and heavy equipment mechanic most of his life advancing himself over the years until he achieved a position as an operations and site manager for WCA Waste in Alpine, Alabama. He is preceded in death by his father and mother, the late Bob and Mickey Mosley of Caldwell, AR and his brother Bob Mosley of Rockwall, TX. He is survived by his wife of 44 years Debbie Laws Mosley of Helena, AL; son, Matthew Mosley (Hannah) of Pell City, AL; daughter Amanda Mosley Sloma (Jeff) of Helena, AL; sister, Liz Mosley Patterson (Ken) of Caldwell, AR, sister in law Lynda Mosley of Rockwall, TX, and six grandchildren, Lannon, Avery, Olivia, JD, Gracie, and John Robert and his faithful dog Buddy. He was a member of the Nazarene Church. He was an avid hunter most of his life and loved to target shoot and collect knives. He was a hardworking and faithful husband and father. He was loved by many and will be missed by those that knew him. A memorial service to celebrate his life will be held at 11am on November 24, 2018 at First Baptist Church of Pell City in Pell City, AL. In lieu of flowers, the family has requested that memorial donations be made in John’s name to the Juvenile Diabetes Research Foundation. May the words of the Bible give you an added reason to know that God does love you all and will, as it has already been mentioned that Jesus Christ will resurrect your dear loved one back to good health,as the Bible says in Isaiah 33:24 but then after John is brought back, he will be a part of an even bigher Guarrantee and that is found in Psalm 37:29 which reads: The righteous will possess the earth and they will live forever on it. So you see, all of those who have died will be able to live once again, but among those who also has been brought back from the grave, to be able to live forever on this earth, but with no more Death in view, because God will take death away, as it says in 1 Cor. 15:26 and the last enemy, death will be brought to nothing. So may these words bring some real comfort into he days ahead.